Session I: Is There a Bicycle Culture? 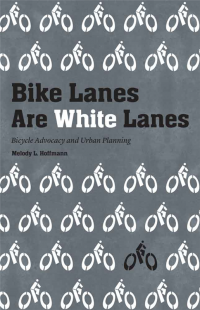 This week, we’ll be posting about our Davis symposium panelists, starting with the opening session, “Is There a Bicycle Culture?” (Spoiler alert: there are many bike cultures.) To begin the conversation about bicycling and culture, we will hear “General Intellect’s Cavalry: the Bicycling Movement on the Front Lines of the Culture War” from Chris Carlsson, a bike thinker and San Francisco icon, “Techniques of the Bicycle and Other Perspectives on Culture and Bicycle Mobility” from Dr. Luis Vivanco, an anthropologist and Director of Global and Regional Studies at the University of Vermont, and “Visibility and Invisibility: Courier Culture and Co-optation” from Dr. Kevin Wehr, a sociologist at California State University, Sacramento. The three panelists will then be part of a discussion with conference attendees. Chris Carlsson co-founded Critical Mass in 1992, and has long provided insightful commentary on bicycling, city life, and labor. He most recently co-edited Shift Happens! Critical Mass at 20 , a collection of essays about the impact the ride has had on cities around the world. His 2008 book Nowtopia chronicles a number of movements and spaces where people have joined economic livelihoods with personal commitment, investing value in tasks not recognized by conventional markets. A bike culture catalyst and scholar at the same time, Chris is uniquely positioned to talk about the crossover between community, research, and advocacy that we hope to investigate through this conference. As an environmental anthropologist, Luis Vivanco brings a particular expertise to understanding the interface between a practice like bicycling and cultural life. 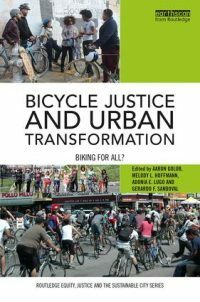 His recent book, Reconsidering the Bicycle: An Anthropological Perspective on a New (Old) Thing, contributes to the push to examine the multiple social facets of this seemingly simple machine. At the University of Vermont, Luis is part of an interdisciplinary project on bicycling and quality of life, and he has been following the national bike advocacy scene as a board member at Burlington bike nonprofit Local Motion. Like Chris, he is already doing the kind of crossover work we want to highlight and discuss at the conference. Rounding out the session is Kevin Wehr, an environmental sociologist and author of the 2009 book Hermes on Wheels: The Sociology of Bike Messengers. Kevin is a longtime bike enthusiast himself, and uses bicycling as a case for understanding countercultural critique and the co-optation of subcultural capital. Because he has conducted extensive participant-observation with urban cyclists, the people most associated with the notion of “bike culture,” Kevin’s work offers an ethnographic link connecting wider frameworks of bicycling and culture with the active life of particular bike cultures.